Indiana Inker: Stampin' Up! Sale-A-Bration Begins TODAY! Stampin' Up! 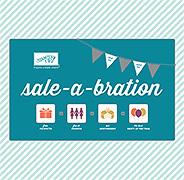 Sale-A-Bration Begins TODAY! Stampin' Up! 's BIGGEST sale of the year begins TODAY! You don't want to miss this!! Great opportunities to earn FREE products!! This sale runs from January 22 - March 22, 2013. 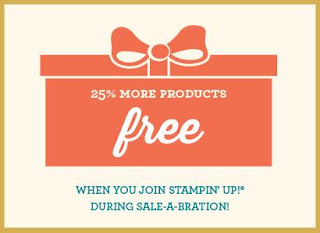 Click here to learn more about Sale-A-Bration and how you can earn FREE products! Click here for more information on becoming a Stampin' Up! Demonstrator!